In 1998, the company built a modern administration and production building in Velten (closed to Berlin). Today, the family-owned company is run by the third generation. Furthermore, the company is characterized by its continuous growth and representation in almost all major markets around the world. Our standard is to provide comprehensive and service-oriented care to all our customers, from technical consultation to arrangement and delivery of our products. Technical competence, quality of products and processes, soundness, customer focus and staff satisfaction are vital parts of our business philosophy. based on the market demand and the latest technical developments. high material and manufacturing quality together with excellent advisory skills and superior customer focus. 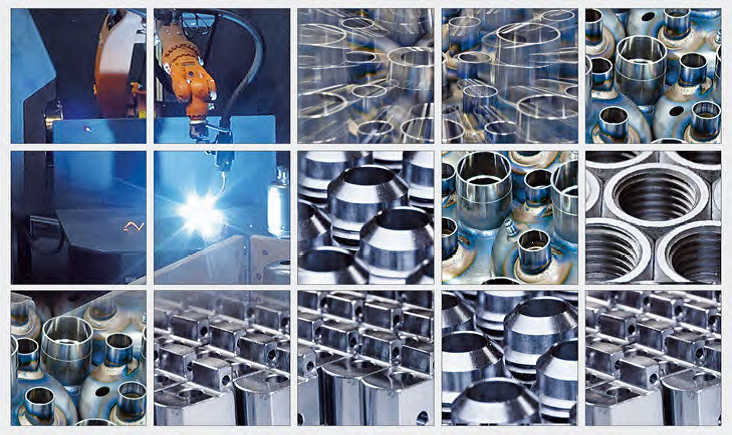 An extensive material modular and automated manufacturing process allows the production according to customer choice. The choices of components are available from 0.3 L to 250 L volume with different pressure levels up to 130 bar. Our sales staffs would be pleased to assist you. We do not exclusively consider our full range of services just by manufacturing and supplying cooling components, but especially also in our general technical expertise regarding development and sales. In addition to a demand-oriented, technically opted listing interpretation, we also offer an interface to your product development and buying processes. ESK’s traditional high and fast availability regarding the standard program is supplemented with the facility of individually matched delivery processes within e.g. frame orders. The fact that we export to more than 50 countries and to all continents illustrates our competitiveness as well as our high flexibility. We produce all ESK-devices nearby Berlin as in-house production “Made in Germany“. All supplied components and materials are sourced from European production. We apply high-class welding method and equipment to our core process. certified welding operator training and are subjected to further qualification tests regularly. modified in line with our mass production. Please contact us when needed. Our standard products have been revised and so far as possible released to operate under higher pressure level when it is necessary. You will find the detailed information in the corresponding chapters of the catalogue. The CDM-Series is released for pressures up to 60 bar. Please consider the technical advises in the relevant sections of this catalogue. The single components allow for the selection and dimensioning of an entire oil management system in this pressure level. Mechanical oil level regulators cannot be utilized in this pressure range, please insert our electronic regulators ERM5. Only devices of the BOS2-CDM-series of the coalescing separators are suitable oil separators. 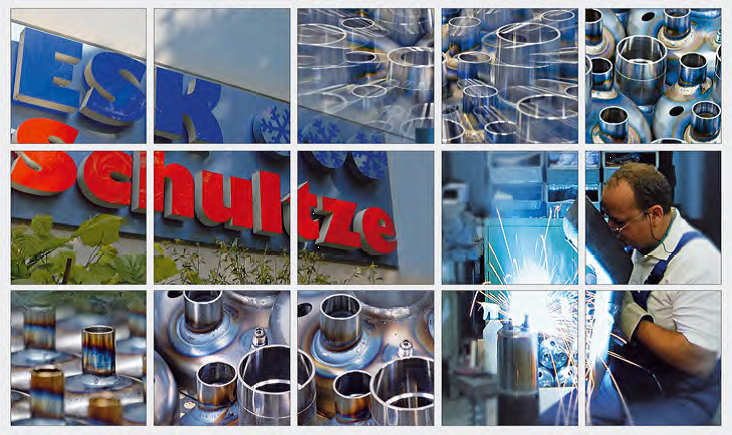 The high working pressures, gas velocities and as well as the special properties of R744 make specific requirements for the selection of materials and welding processes to ensure the required product safety. ESK is offering all necessary components in an outstanding quality and reliability particularly regarding to the execution of the flange connections and the welding seams. Only Coalescence Series BOS3-CDH and the electronic regulators ERM5-CDH.. comes here in the oil regulation system. ESK components are generally approved for ammonia (R717), propane (R290) and further flammable refrigerants (e.g. R600a, R723 and R1270) as standard or as a special version. Please find more information regarding suitable refrigerant and pressure approval under the chapter “ESK References for hazardous fluids“. – The model is not available for applications with fluids of group 1. All for ammonia and propane suitable components are labeled with an adapted type plate! The normal compressor ref.-oil-charge consists of either mineral-, semi-synthetic-oils of viscosity class 32cSt at 40° C temperature. Our components are released for such oils. In case of high viscose oil in application, e.g. class 68cSt or 100cSt, a functional test of oil level regulators, oil separators and suction line accumulators by the user is necessary!